Lance moved into his own house last weekend. He is pretty excited. 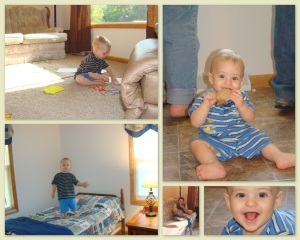 I am posting these pictures for the part of the family away from home. I hope this helps you all to see what you wanted to see. 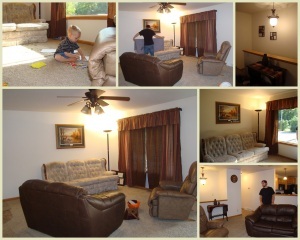 We equipped the house with lots of quick window treatments. 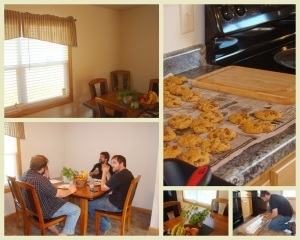 It seemed as though God was smiling on our efforts, because we found exactly what was needed at used shops for most of the windows for the curtains. 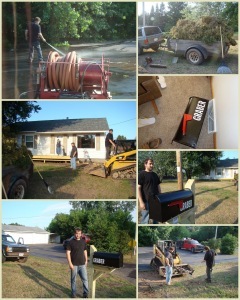 The men hosed down the blacktop slick and clean, picked up the decking trash and tree trash, and installed a new mailbox. 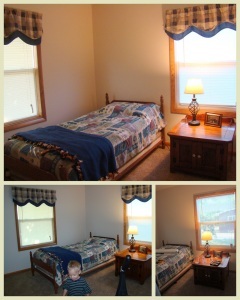 The babies helped to make this feel like home.